GCP&T Fiscal Support Technician Callie Dodge shows off one of the pumpkin sling bags that will be given to the first 100 who attend each night. Submitted photos GCP&T Maintenance Supervisor Dave Dudgeon loads a pumpkin as preparations begin for the 2019 Pumpkin Glow. 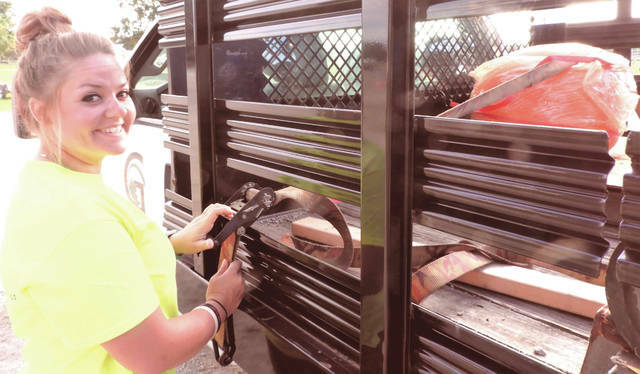 Brianna Trangenstein, GCP&T Maintenance, straps in a 100-pound pumpkin for its ride to Russ Nature Reserve. GREENE COUNTY — Celebrate autumn at Greene County Parks and Trails’ annual “Pumpkin Glow,” from 7 to 10 p.m., Friday, Oct. 26, and Saturday, Oct. 27, at Russ Nature Reserve, 2380 Kemp Road, Beavercreek. Families will be able to enjoy hundreds of carved pumpkins on display, funny pumpkin faces, pumpkin displays as well as the popular pumpkin slingshot. Families are encouraged to come in Halloween costumes as they trick-or-treat their way through the pumpkin glow display. The first 100 kids each night will receive a free pumpkin sling bag. The Glen Helen Raptor Center will present a program featuring live owls on Friday, Oct. 26 and a “rock on ice” pumpkin carving demonstration will be featured Saturday, Oct. 27. A local food vendor will offer kettle popcorn, beverages and more for a nominal fee while Halloween music will fill the air. 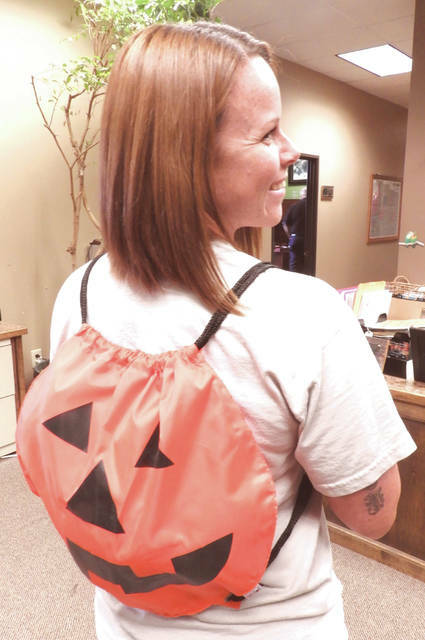 https://www.fairborndailyherald.com/wp-content/uploads/sites/50/2018/10/web1_parkpumpkins3.jpgGCP&T Fiscal Support Technician Callie Dodge shows off one of the pumpkin sling bags that will be given to the first 100 who attend each night. 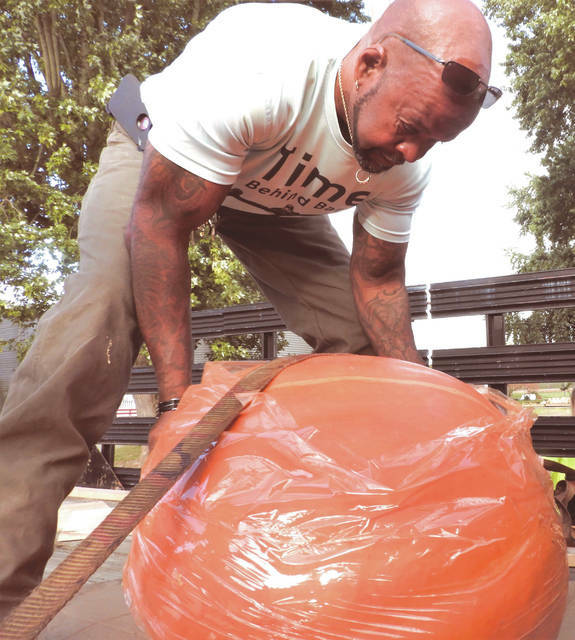 https://www.fairborndailyherald.com/wp-content/uploads/sites/50/2018/10/web1_parkpumpkins1.jpgSubmitted photos GCP&T Maintenance Supervisor Dave Dudgeon loads a pumpkin as preparations begin for the 2019 Pumpkin Glow. https://www.fairborndailyherald.com/wp-content/uploads/sites/50/2018/10/web1_parkpumpkins2.jpgBrianna Trangenstein, GCP&T Maintenance, straps in a 100-pound pumpkin for its ride to Russ Nature Reserve.